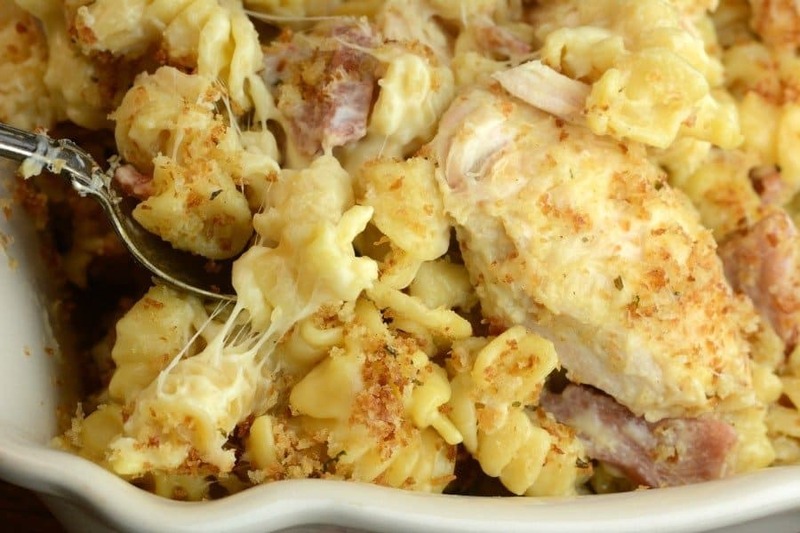 If you love chicken cordon bleu, you will love this Instant Pot Chicken Cordon Bleu Casserole. You get those same flavors as you would in the classic dish but with less prep work and time cooking it. 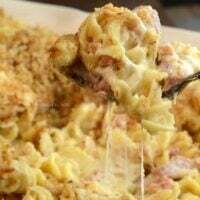 Instant Pot Chicken Cordon Bleu Casserole gives you that rich creamy flavor of chicken, ham, creamy pasta and cheese, that is ready to be served up to your family in under 10 minutes. Sometimes when I would make chicken cordon bleu in the oven it would come out a bit dry, more often than not. With this Instant Pot version, it comes out moist and flavorful every single time. I am beginning to feel I can do anything in the world with my Instant Pot! I mean you guys if you follow me you know I always share fresh and new recipes using my fabulous Instant Pot. From my Instant Pot mac and cheese that is overloaded with the cheese factor to my crack chicken that I think took the world by storm. I am seriously using my Instant Pot for almost every meal from breakfast, sides, desserts, and of course the tasty main dishes. If you aren’t utilizing the power of your Instant Pot like I am, you are totally missing out. Start using it more and begin to fall in love with it the way I have. The only thing better than Instant Pot Chicken Casserole dishes is all the Instant Pot Desserts! 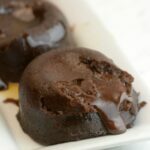 Instant Pot 7-up Cake and Instant Pot Chocolate Lava Cake should be one of the first dessert recipes for you to check out! If you are on the hunt for amazing, easy and delicious Instant Pot meals, you have come to the right place. 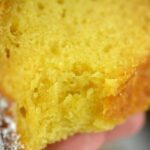 I have an assortment of recipes that are perfect for you and your family. I even have recipes that can use frozen meat, in case you forgot to thaw it out. The Instant Pot is a game changer for allowing you to cook perfect meals each and every meal. It allows people who might struggle with cooking find a way to make dishes that are spot on. Cheese, creamy pasta with Ham and chicken topped with toasted panko breadcrumbs all done in 25 minutes. Direction: Pour uncooked pasta into your instant pot cover with 3 cups chicken broth. Place thin chicken strips and ham on top. Place on Manual High Pressure for 10 minutes. Or use your poultry button. Do a quick release Stir and pour heavy cream, mustard and both of the cheeses into the pan. Stir until creamy and smooth. In a small pan melt butter and add panko breadcrumbs stir until all are toasty and golden brown about 2-3 minutes. Sprinkle on top of cordon blue. Enjoy! This looked delicious! I cooked it for 12 minutes on the poltry setting with a QR and it was great. The pasta was a bit AL dente but my the time it was melted together it was perfect! I did melt the cheese over low heat on the stove top while the IP was going and then mixed it all together. I assume this saved time. (I used the same, now empty, cheese pot to toast the crumbs.) My pasta did not stick to the bowl, maybe because I sprayed it first? It was yummy!! Normally I would cook pasta for 3-4 minutes. Won’t it just be mush after 25 minutes? This looks so good–I want to make sure I understand the directions so it turns out delicious! I promise it won’t be 🙂 If you have small pieces of chicken only do it for like 15 minutes. Your other casserole says cook pasta for 5 min on manual and this one says 25 mins! Why such a big variation? About to get started. I just made this and it was wonderful!! A family hit, all around. I used Turkey ham and I had Turkey bone broth that I used. I had trouble with the pasta sticking to the bottom, but I’ve perfected a way to trick the pot into pressurising after I open it and scrape the bottom. 😉 I think I’ll half the recipe next time. I think this made about 12 cups lol! The three of us ate huge amounts and then still had a ton left over. Thank you so much for this recipe. Oh and I cooked it for 8 minutes on high. And the pasta was perfect. My husband loves Chicken Cordon Blu, so thought I’d give it a shot, and this recipe didn’t disappoint. From being from Wisconsin, I used some specialty cheese instead of Swiss, which I didn’t have. Thank you for sharing, it was delicious! What kind of cheese other than Swiss can be used as I don’t care for Swiss. I’m not sure what I did wrong but this came out way too cheesy. I used shredded Swiss and sliced Gouda. It was still good but not creamy like I was expecting. I think it’s called for too much Swiss cheese. I only put 6 oz and I thought that was a lot. I did do the 8oz. Of Gouda. My pasta stuck to the bottom and was over cooked. It still tasted great though. This was delicious! I halved the recipe and cooked on manual for 15 minutes. The pasta was just right and the chicken was cooked perfectly. This recipe is a keeper!! Thank you! Way too cheesy… used exact ingredients with the exception of the cream, which I ended up using over 16oz. Still not quite creamy enough, but it was DELICIOUS!!! Can the chicken be frozen? Or should it be thawed first? Did you ever find out if it had to be thawed or frozen? Wanted to make this today but not sure if the chicken will be thawed by the time I want to cook supper! I made this tonight. It was really good, but my noodles stuck to the bottom and burnt. Do you know where I went wrong? According to you King ranch chicken dish, you used a 5 minute cook time without browning the chicken and cubed…. Not thin strips like this recipe. Rotini has a stove top time of 4_7 min. I used 5 min for this recipe and it was on the high end of done. The overall flavor was great. Not too cheesy in my opinion. I had really thick chicken breasts (thawed) so I cut them into strips. I also used pre-diced (so much smaller pieces) ham. I used the poultry button, but only 20 minutes. Based on other comments, I only used about half the cheese I’d grated, because once it melted it was really cheesy enough overall. This was so good, Spouse agrees, it’s going into regular rotation. Thanks so much! I followed this exactly as written, but my pasta stuck to the bottom… any ideas what went wrong? Tastes yummy though!! ? I don’t eat ham…. What can I replace the ham with? Whoa, way too much cheese, not enough liquid in my opinion. I agree it was delicious but everthing congealed into one big cheese ball when cooling down on our plates making it no longer appealing to eat. I’ll try again with mlaybe 4oz. Gouda, 8oz. Swiss and perhaps 16oz. of heavy cream if it looks like it’s not creamy enough. All the recipes for cooking pasta say to use 4 cups of liquid but this only calls for 2 cups of broth. Will this be a problem? Very cheesy, but one of my favorite instant pot recipe so far! Love this! What size pot is best for this recipe? Super tasty, but very cheesy. Couldn’t quite get a creamy texture, but the taste was good. The pasta did stick to the pan some, and it was kind of hard to stir. I changed the recipe a bit to address some of the issues that others were having. I sprayed the pot with nonstick spray before I put anything in it, added the broth and noodles, then stirred before laying the chicken and ham on top. I also decreased the swiss to 8oz, kept the gouda to 8oz, and added an extra cup of milk with the heavy cream. Because my husband and I like a little bit more zip to our cordon blue, I increased the mustard to almost 2T. It was delicious! I read somewhere that when cooking with the IP, you should always put meat at the bottom. Noodles don’t have to be covered in liquid because of the steam from the pressure, so they’re fine on top. Maybe this will help with some of the sticking people have described. I haven’t made this yet, but looks fabulous. I’ll make this again but make some modifications to our taste. I’ll cut the cheese to a quarter of what the recipe calls for, change the cream to milk and triple that to make it creamier, and I’ll double the mustard. I thought the noodles cooked perfectly in the recommended time, and I liked the panko on top, too. ALOT of cheese, but it is good!! Delicious!!! I made this tonight following the directions except for using a little more than half the cheese based on other comments. Oh, and I did melt the cheese in a saucepan with the cream so it could melt while the instant pot was cooking. The noodles did stick some, but I didn’t spray my pot either. But the chicken was done and soft, and my noodles were perfect, not mushy! Hubby and six-year-old loved it too! It’s a keeper. Made this tonight and it was ok, definitely too cheesy like people said and not creamy at all even though I added more milk and broth to help loosen it up. I may try this again but make a roux and melt the cheese in it that way to get the texture I was looking for. The toasted Panko on top was a nice touch! This has a lot of fat and carbs. Do you know a way to decrease either or both? Sounds delicious. Hi! Just wanted to let you know that your picture has an extra S in the word casserole. Recipe looks delish! Do you use uncooked chicken in this recipe? I did cut the swiss to 8oz as some comments recommended and I have a family that can EAT lol so I used like 2.5 pds chicken and 2 pds ham but kept the rest the same. I took advice of comment and also melted the cheese on stovetop which I think was easier than it would have been stirring in to melt. Thank you for sharing! I really loved it! I just learned that I hate Gouda! Also waaaaay too much cheese! Gouda is a very over powering flavor. You add the cheese at the end anyway. Add 4 oz of swiss and 2 oz of gouda and stir. Add cheese slowly and stir. Add a little milk until you get that nice creamy consistency. Otherwise it will be a put of cheesy glue! My son wants this for his birthday dinner but I will have 10 people. Have you ever doubled the recipe? I’m confused do you put raw chicken on the cooked pasta? I had leftover mozzarella (14oz) and bleu cheese (3oz) that I wanted to use up, so I swapped those in for the swiss, gouda, and heavy cream. Also left out the pasta and cooked up a spaghetti squash in the IP before doing the chicken. While the chicken was cooking I was able to shred the squash and add it into the chicken during the “add in cheese” step. we’ve been eating it with a handful of wilted spinach. delicious! I’m going to try it next time with ricotta and blue cheese as my partner doesn’t like swiss. Ingredients call for 3 cups of broth, but, the directions state to put 2 cups of broth in the IP. Is it 2 cups or 3? I have some left over baked chicken….could I use th that and reduce the cooking time enough to get the noodles cooked? Does the chicken in this recipe need to be pre-cooked? Wasn’t sure if you used a regular sized IP or a Duo. I have an Instant Pot Duo and I halved the recipe, if anyone wondered how that would work. It came out yummy, cheesy, and creamy. It was easy and came together quickly. I cut the cheese in half and used 12 oz of pasta at 10 minutes. It’s was good. Noodles were cooked enough and not overdone. Added some of my own spices and seasonings. Would make again that way. The recipe was updated after I made it. I agree with the changes. I think the way the recipe stands now it will be perfect. It was delicious and super cheesy. The addition of an additional cup of chicken broth (was 2 but now 3 cups) I think will help the pasta not to clump together or stick to the bottom. My family of 4 had this for dinner and then the kids, to my dismay, ate all the leftovers a few hours later!! I was looking forward to leftovers for lunch. I will definitely make this again. It was also super easy to make and didn’t take a lot of time. This was terrific. Made it just the way it stated and it was a big hit! Loved the cheesiness. What if I wanted to double the recipe? What would the cooking time be? I made it as described except that I melted the cheese and mixed in the cream and mustard in a sauce pan over the stove. My IP Ultra was slow to come up to pressure, and I was lucky I checked on it. The display read “burn”. I opened it up and found that the pasta was cooked perfectly and the chicken ranged on 175° to 185°. There were a few pieces of chicken that were a little brown but still not burnt. I served it and it came out great. The burnt display comes up if food is burnt in the bowl or there is not enough liquid. According to Redit, it will never come to pressure in this state (there was nothing in the manual so I needed to Google it). Do you think I need to add more liquid? Maybe another cup of broth? This was the first recipe I made with my new instant pot, we loved it turned out great. I sprayed the bottom of the pot with non stick cooking spray. We will have this again but no time soon really rich and had enough for days lol since just the 2 of us.I love your site th for the great recipes. This was my first InstantPot recipe and it was SO good! I used 10oz fat free half & half instead of the heavy cream (I used a little extra to make it more creamy) and only used 4oz of each cheese. Less calories and the texture was perfect! My chicken was a little chewy– not sure yet how to fix this as a new InstantPot user. Will be making again! I don’t have an instapot, but wanted to use a crock pot. Do you think this would work? What changes need to be made? Thanks for the recipe…. Surprising my wife for dinner. By far the best instant pot recipe so far……. After reading the replies, I cut both cheeses in half, sprayed the bottom of the pan, and added 1 cup of milk in addition to the cream. It didn’t stick to the bottom and the additional milk gave it a creamy texture. The family liked it! This recipe is fantastic. I did it in a slightly different way. In previous Instant Pot recipes I’ve made, penne pasta has cooked much faster for me, so I was concerned about the 25 minute cook time. What I did, is I cut the chicken into small cubes and sautéed it in olive oil and lots of garlic type spices in the Instapot. Then I added the dry pasta and the chicken stock. Cooked it at high-pressure for 6 minutes. Quick release. It was perfectly al dente. Nothing stuck to the bottom. I added the shredded cheeses and with the amount of cheese in the original recipe, it is good and gooey. So delicious. 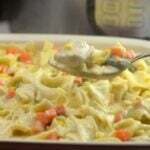 Instead of cream, I cheated and used a bottle of 410 mL fat-reduced Classico Alfredo sauce. This turned out so good, will make many times over. Crumbs. I will also cut recipe in half as it was way too much for two people. Pretty much followed reviews, extra cream/milk, not quite as much cheese although I did add a couple of spoons of cream cheese and a couple pinches of shaved parm as well. Also added a dash of garlic powder, white pepper and ground mustard because I can’t cook without seasoning! My pasta came out perfect, as was the chicken after 5 minutes on manual and qr. I also the in a couple handfuls of torn up spinach street the qr bc I needed to see something green on my plate lol! Mine is VERY creamy and perfectly cheesy. This is only my 2nd meal in my IP, and I’m excited it came out so well! Amazingly good and fast. Have made it several times. Thanks glad you like it ? Do you need to cut the chicken, ham, and cheeses up? I have sliced swiss, sliced ham, and whole chicken breasts? Is the 935 cal per serving or for the whole meal? I have so many of your recipes it’s hard to have a favorite! Made this tonight and it was very good! Even though I sprayed the pan the noodles still stuck so that was a bummer. I doubled the heavy cream, used low sodium chicken broth and melted it in a separate pan. Definitely will be making it again. Chicken Cordon Bleu has a blue cheese ribbon inside… I don’t see bleu cheese on your ingredients. Has anyone tried it with bleu cheese? Made this tonight and it was sooo good!!! I did add some seasonings just because I like a lot of flavor. But this is definitely going in the meal rotation. Giving this a try tonight for the first time… Love Chicken Cordon Blue and this will be the second variation that I’ve tried hope this turns out as well as everyone is saying. I have been reading comments and see 25 minutes for cooking? The recipe I read only says 10 minutes. Am I missing something? Planning to make this for dinner tonight. Help!?! My husband is allergic to wheat. Do you know if I could use rice noodles or any other wheat free noodles with the same cooking time?